Where Mind and Body Become Fun! 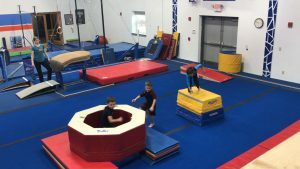 At gymNinja we help teach children about focus and reaching for challenging goals. Children learn the value of teamwork and how to encourage others. Limited space available in this super exciting program. Annual registration fee applies. Sign up now to reserve your child’s spot in class. Check the Schedule Page for updated class dates/times.